The phones have been ringing off the hooks around the country. The BLOGS have lit up with the salacious details of a moral failure of a leader in IFB circles. This hurts! It hurts the victims, the families involved, the church involved, the country, and most of all the CAUSE OF CHRIST. I am concerned that we are not handling this correctly, nor do we see what we are failing to do during this time, that will help perpetuate and give momentum to the failure we abhor. I wonder if we are NOT asking the right questions. I wonder if Satan himself is not pleased with the superficial handling rather than a spiritual handling of this devastation. I am certainly not the final authority on the handling of situations like this, but God certainly is. I read yesterday Leviticus chapter 14 and the instructions given to Moses and Aaron on how to handle leprosy, a picture of sin in the Scriptures, when it was discovered by the owner of the house. Please understand I have no malice toward anyone. I have been at this for 40 years and my heart breaks easier today than EVER before. The victims are hurting, the families involved are hurting, a college family is hurting, a nation of sincere saints of God are hurting, and my own family is affected by this just as some of your families. However, I fear we are NOT asking the right questions in order to learn from this cataclysm through the eyes of Scripture. I feel compelled to ask some sincere questions that will not be received well, but I believe are necessary. In my humble opinion the doctrinal failure laid ground work for the moral failure. I wonder if that doctrinal failure has ceased now that the moral failure has been exposed? For the last 11 years there has been statement after statement from the pulpit of the First Baptist Church that violated Scripture after Scripture. Yet, at no time did one in the church body say a thing publicly! Now, those who would not give me the time of day are calling and recounting all of the questionable rhetoric coming from the mouth of their fired pastor. Please forgive me, I do love you folks at FBC, but WHERE WERE YOU? Why did not the “owner” of the house spot the leprosy? Again, this could be a “teachable moment” for ALL of us? I am merely asking sincere questions. I am not assailing anyone; for I believe we ALL could have done better, including myself, concerning these unscriptural statement. My question is does Brother Eddie Lapina believe the King James Bible is preserved inspiration now? Where was Brother Lapina when vulgar and crude sexual innuendoes were used behind the pulpit of FBC? He did not speak up before and my question is will he speak up now? My question is does Brother Bob Marshall now believe the King James Bible is preserved inspiration? Where was Brother Marshall when the Lord’s Supper was painted to be a sexual intimate relationship? He helped publish the book! He did not speak up in fact he facilitated and supported Jack Schaap’s tirades. Will he speak up now for the preserved inspiration of the Scriptures and against the doctrinal error Jack Schaap preached? I am worried that nothing has changed except the firing of a perpetrator! The sad thing is this Lord’s Supper thing is known as “BRIDECHAMBER THEOLOGY.” This group was founded in 1995 and espouses the belief that Jesus wants to have sexual relationship with us. This is blasphemy and we knew it, but why didn’t you leaders at FBC know it? Although it appears you would not have said anything any way, hoping to save your own jobs and income. My question is does the chairman of the board Brother Terry Duff now believe the King James Bible is preserved inspiration? He stated at the King James Summit that he represented a 100-member deacon board and was speaking for them. He stated that he and the deacon board were 100% behind Jack Schaap and his Bible stand of a non-preserved inspiration of the King James Bible. Where does Brother Duff stand now on the King James Bible? Where does Brother Duff stand on the other outrageous doctrinal errors? Will he learn or simply repeat the same mistake again? My question is does the 100-members of the FBC deacon board now believe the King James Bible is preserved inspiration? Where were these so-called godly spirit-filled men when ungodliness existed in word and in deed? Let me get this straight and they are the ones who are going to “cleanse” the house? That is like putting a fat man in charge of a pie factory or a fox in charge of the chicken pen! My question is does the faculty of Hyles-Anderson College now all of a sudden believe in the preserved inspiration of the King James Bible? You who are the elite and noted scholars of Scriptures where were you when the Scriptures were assailed and assaulted? And are you now all of a sudden going to “cleanse” the academics of the house? I wonder? My question is does the membership of FBC now all of a sudden believe in the preserved inspiration of the King James Bible? Why did you not question what was going on? Dr. Hyles told you what to do when someone stood up and said the King James Bible was not inspired. He told you to fire the man. What happened? By the way, God does not teach blind loyalty to a man and neither did Dr. Jack Hyles. It was the herdsmen who made such idiotic statements as “I’d jump off of a bridge if the preacher told me too.” Dr. Hyles NEVER said that for it was the herdsmen who said it. These same herdsmen gave that same “blind loyalty” to Jack Schaap and look at the results. Again, I realize I am asking for rebuke and threats because of these questions, but they are sincere questions. I wish no hurt to a place where my son, daughter-in-law, and grandchildren are. I love them dearly, but for their sake and the sake of other family members these questions must be asked reluctantly and sincerely. My question is why 5 standing ovations on Wednesday night? Why applaud the deacon board, why applaud Brother Lapina, why applaud the chairman of the deacon board, and why applaud David Gibbs. The first four are responsible for what they ALLOWED to continue. Again, it was the doctrinal failure that led to the moral failure. Sorry, no ovation deserved here! May I say David Gibbs is also responsible? Why did he not, with his depth of wisdom, pick up the phone and call Jack Schaap and say, “WHAT IN THE WORLD ARE YOU DOING?” We out here did! But, then again look what happened to us? We were exiled to the Isle of Patmos! We are going to applaud David Gibbs as he says the former pastor, Jack Schaap, is a “godly man?” He was the perpetrator in all of this. His actions are at issue and not his “saint hood.” Sorry, no ovation deserved here! My question is why was an attorney handling the “spiritual” matters of this situation in the first? Attorneys are called “legal counsel” for a reason. They are to “counsel” legal matters and not lead in spiritual matters. I am 100% for using attorneys to guide us through legal matters like this, but not the “spiritual” matters. My question is there no man of God in America “big enough” for the great FBC to come to their aid to speak and guide them spiritually? I can think of a 1,000 preachers spiritually wiser than those who were given a standing ovation. You say, “How can you say such things?” It really is very simple, these 1,000 preachers knew the heresy, but you seemingly didn’t. These 1,000 preachers knew of the vulgarities, but you seemingly didn’t. These 1,000 preachers cringed at the arrogance, but you seemingly didn’t. These 1,000 preachers were not fooled by the charisma, but you seemingly were. One of the prime examples is the King James Summit. When it was held and it came time for questions, the staff men selected the questions they wanted to answer from the guests, and they did so by MOCKING the questions without answering the questions. This arrogance and entitlement mentality permeates the leadership and is a cancer. Why applaud those who did absolutely nothing to stop what Jack Schaap was doing to the church, schools, the college, and independent Baptist churches for these past 11 years. They sat by and let him call Dr. Russell Anderson and “ignorant hillbilly.” This man who had his good name on the college and gave 15 million hard earned dollars to keep the doors open. Where are the men? Sorry, no ovations earned here! Wednesday night was more of a pep rally than a revival meeting! Maybe it is because we know more about how to rally than repent. Maybe we are more comfortable with standing to clap than we are kneeling to confess. God help us! What a sham! My question is why did we seem more bent on telling the people how to deal with the carnal aspects than the spiritual aspects? Why did we set up counselors rather than prayer groups? It sounded more like a psychological solution than a spiritual and supernatural solution? Why did they not ask those with sin in their lives to come forward rather than those who had information to come forward? My question is why wait until a moral failure occurs when there was already public gross doctrinal failure? Why not call for the men of the church to come to the altar to start the service with confession and repentance rather than joking about the deacons in attendance as well as the churches attendance? This is no light hearted moment for you! Lawyers cannot do what a man of God can do. There is the element of the Holy Spirit of God that gives a man of God the edge and extra needed to spot that which a lawyer cannot see. There was a time when a church was in crisis that they would pick up the phone and call the man of God. I cannot begin to tell you how many times Dr. Hyles bought an plane ticket and flew to the side of a pastor or a church who were going through difficult trials. What in the world is wrong with the leadership of FBC? Why did you not call a man of God to be there to assist you at this most crucial of times? Is it pride? Is it a feeling of entitlement? Is it your famous name? Are you hoping to hold on to your jobs? Are you hoping you can handle your own problems? It is said a lawyer who takes himself on as a client has a fool for a lawyer. I wonder if it might not be true for a local church who attempts to “cleanse” themselves of something this serious? Again, I realize this may be my waterloo. If it is so be it. I offer these sincere questions because I am afraid no one else, who truly loves FBC, HAC, and the IFB movement will because of fear from repercussions. I know our enemies will offer criticism without the love I offer questions with love! 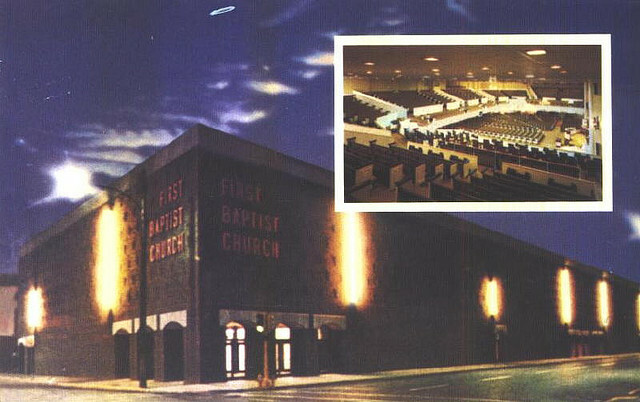 I love FBC, the staff, the faculty of the schools, the 100-member deacon board, and especially the dear older members. However, the membership is going to have to demand a “cleansing” instead of a “cleaning.” If not FBC and her schools will have to bear the burden of a half swept house that the rest of us do not want to live in or visit. America, please do not be fooled by an attempt to salvage an entitlement mentality that saturates FBC. Arrogance must be replaced with humility and repentance! If I have made you mad enough to think I then have succeeded. If not I have failed! WILL IT BE A CLEANING OR A CLEANSING?